The sequencing of human genome has raised much excitement about the possibility of understanding the blueprint of life. Further, the development of low-cost high-throughput DNA sequencing has facilitated the analysis of large numbers of human genomes and revealed the diversity in DNA sequence within and between human populations. Modern human genomics has also raised the possibility of identifying DNA sequence changes that may be linked to diseases such as diabetes, cancer and mental illness as well as facilitated new approaches to understanding issues such as human migration, evolution and population structure. Population-specific variants in the human genome and their interaction with environmental factors make an analysis in the Indian context necessary and relevant. Recognizing the importance of genomics research in human disease biology, the Bangalore Life Sciences (BLiSc) Cluster hosted a Human Genetics and Disease Biology Meeting on Friday 8th June, 2018. This meeting brought together eminent scientists in academia and industry to discuss the opportunities and challenges for studies of human genetics and disease biology in India. Following introductory perspectives from Prof. Satyajit Mayor and Prof. Raghu Padinjat, Prof. Sharat Chandra (Centre for Human Genetics, Bangalore) provided a historical account of the evolution of Human Genetics Research in India. Prof. K VijayRaghavan acknowledged Prof. Sharat Chandra’s contributions and his crucial role in the growth of human genetics research in India. 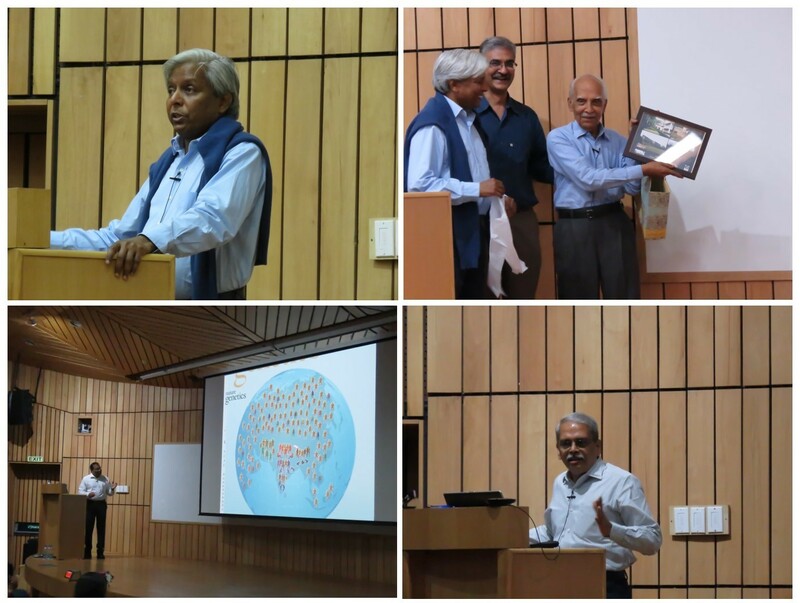 Dr. K Thangaraj (CSIR-CCMB, Hyderabad) spoke on the unique genetic structure of the Indian population and the challenges and opportunities for human disease research they provide. Dr. Vinod Scaria (CSIR-IGIB, New Delhi) shared his thoughts on the prevalence of rare genetic diseases in the Indian population and the contribution of genomics research in facilitating better clinical diagnosis and disease management. Polygenic, non-communicable disease such as mental illness represents a huge, emerging medical and socio-economic problem in India. Prof. YC Janardhan Reddy (NIMHANS, Bangalore) described an exciting new multi-institutional program supported by the Department of Biotechnology, Government of India and the Pratiksha Trust to address scientific and clinical challenges in the area of mental illness. This effort, the Accelerator program for the Discovery in Brain Disorders (ADBS) is developing a new clinical cohort to study the genetic and cellular basis of mental illness in the Indian population. Dr. Mahendra Rao (inStem, Bangalore) elaborated on the role of genomics in understanding the basis of mental illness in the Indian Population. Prof. Vijay Chandru (Strand Genomics, Bangalore) talked about the importance of developing affordable clinical grade genomics in India, particularly in the area of cancer and neurological diseases. A recurrent theme during the meeting was the importance and pressing need for a reference genome sequence for the Indian population. Prof. Vijayalakshmi Ravindranath (Center for Brain Research, Bangalore) described the new Genome India Initiative that is working to produce a draft reference genome for India. The meeting closed with future perspectives on human disease biology from Dr. Renu Swarup, Secretary-Department of Biotechnology, Government of India and Mr. Kris Gopalakrishnan, co-founder Infosys and the Pratiksha Trust. Dr. Swarup appreciated efforts by the ADBS program to build a biorepository to facilitate research as well as the training and capacity building initiatives by the program for stem cell research in India. Mr. Kris Gopalakrishnan shared his larger vision on the multiple genomics initiatives in India. Given the complex nature of human disease biology, biorepositories along with sharing of digitized human genomics and clinical data would be critical to facilitate collaborative research and make significant progress in this area. In summary, the meeting concluded with a sense that while we have accumulated colossal amounts of human genomics data in the nearly two decades since the unveiling of a "working draft" of the human genome, we are faced with multiple challenges but also opportunities to understand the relationship between DNA sequence variation and human disease biology. In India, a number of initiatives seek to uncover these enigmas of the genome and collaborative ventures are set to accelerate discovery in this area. These advances would truly transform the benefits of human genome sequencing for the benefit of the common man.